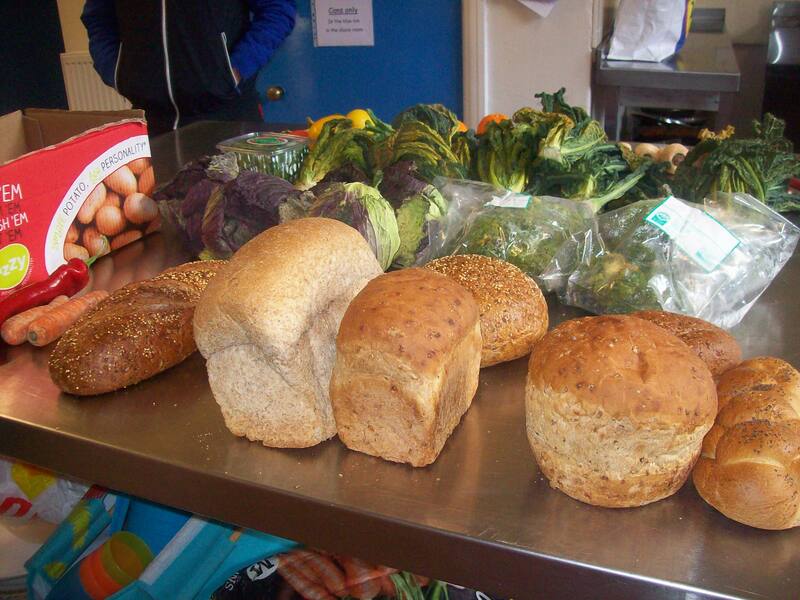 Today at Open Kitchen we got some beautiful donations of vegetables from Seven Hills Bakery on Sharrow Vale Road and also some delicious bread from Roses The Bakers on Atlas Way, Brightside Lane. Seven Hills is in the premises that used to be Sharrow Marrow. They have a wide range of fruit, veg and baked goodies available and also offer cooked foods so check it out if you are in the Hunter’s Bar area of Sheffield. We were a bit worried that Seven Hills wouldn’t be able to provide much surplus for us as they are managing to be very efficient with their waste, which is great of course. They give all of their three day old bread to the Salvation Army and all of their organic scrap to pigs or compost – personally I’d like to taste some of those pigs but our Halal and vegetarian friends at Open Kitchen wouldn’t be interested in that so that will be a weekend mission! Roses the bakers are a new doner for us and it was thanks to our volunteer Olly who is also working on Foodcylce Sheffield and other waste reduction projects that we got the benefit of their delicious bread today. We supplemented the donations this week with 2 kg of chicken leg from the Yemeni shop, Filey Street, Broomhall. It’s a great shop and has everything we need that cannot be donated. They are very helpful and have a great range of food and other supplies. Another thing that happened todaywas that a member brought along his own chess set to enjoy a game with different people in the group. 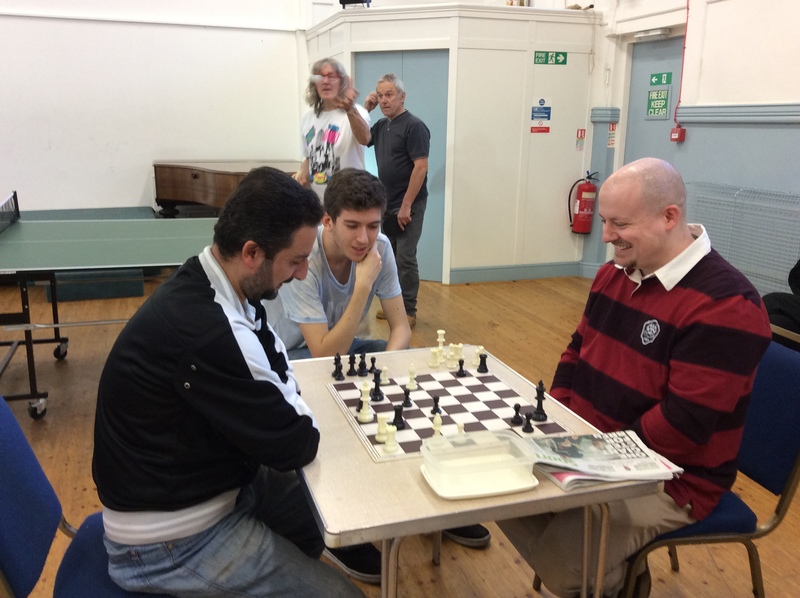 It’s great to see people getting into any of the games and activities on offer, but even nicer when someone makes the effort to bring something in to share with others. Of course it didn’t interfere with the ubiquitous table tennis, seen here in the background. As usual everyone had a great time, lots of nice food to eat and enjoyed spending time with friends old and new.